The Heyde Center welcomes LYRA for a return concert of Russian folk songs and the beautiful chants of the Russian Orthodox Church. The members of this vocal ensemble from St. Petersburg, Russia are all professional musicians who perform in the city’s churches and musical theaters. In concert, they bring an insight into the musical heritage of the Russian Orthodox Church, and the traditions of Russian folk music. 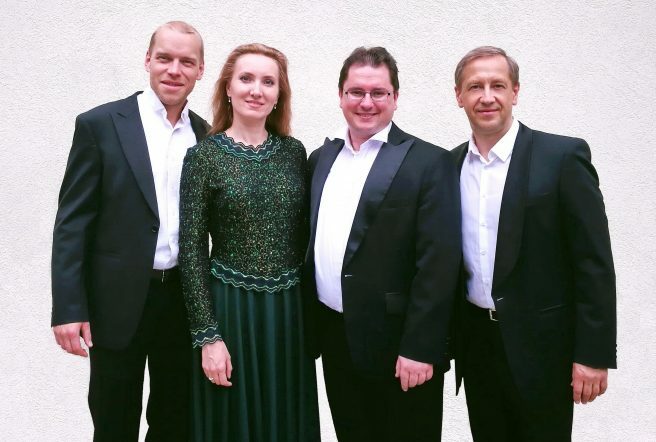 The ensemble consists of ALEKSANDR KUDRIASHOV – bass; TATSIANA MELNIKAVA – mezzo-soprano; DENNIS PATSIUK– Tenor; SERGEY TUPITSYN – baritone.